The Brazilian artist Juliana Duclós sent me a drawing of a Dona Maricota. It is a giant doll created for a street theater and dance festival called "Boi-de-mamão" which is organized every year in Florianópolis in the state of Santa Catarina in Brazil. Thanks a lot Juliana! 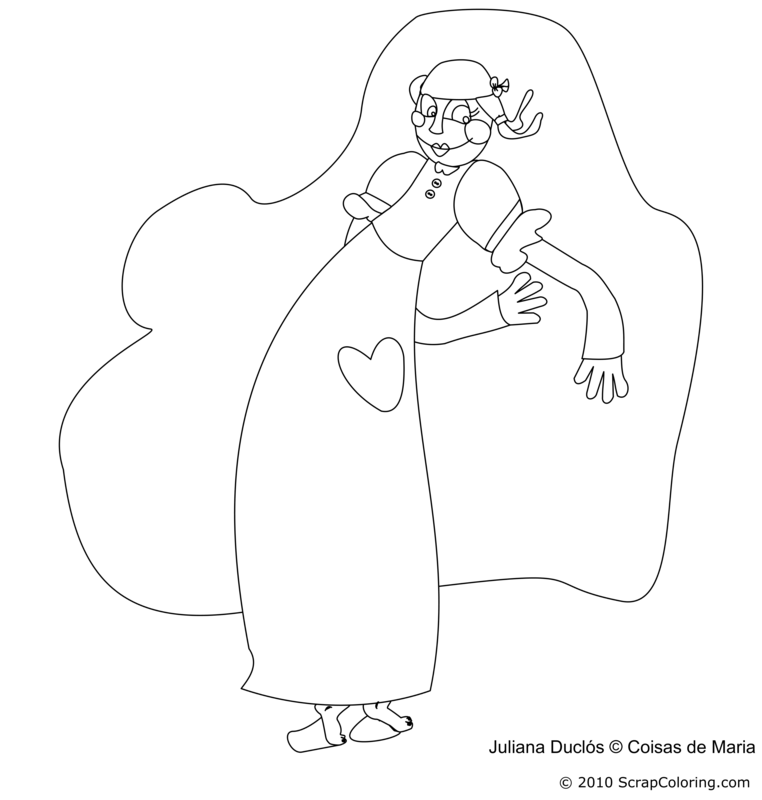 If you do not see the online coloring page Maricota in black and white above, you need to use another web browser: see the page Supported Browsers.